Nothing over $40 at W.Lane was interesting to me. 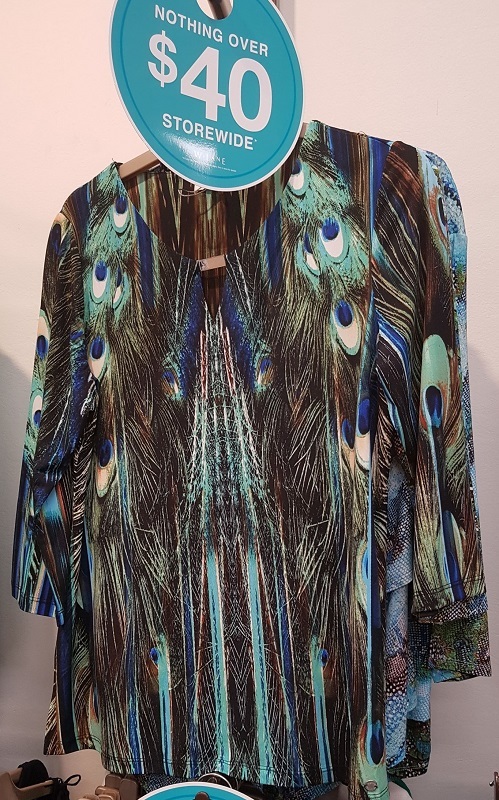 I’d been in there a couple of weeks ago and I saw a peacock themed tunic. I was not able to find it on the website sadly. I choose to take that as a sign I should not buy it – and I took a photo the next time I was there. Finally I did find it on the website in case you want it. Now that I have the photo I realise I don’t love it as much as I thought. I love the blue and green parts but not so much the olive and brown parts. This leads me to think once the Year Of Buying Nothing is over, I might try a policy of photograph and consider before purchasing. While looking through the website, I did find this which looked quite nice. Unfortunately in the store there was not one in my size and the one that was closest to my size had a pull in it. Another message from the universe to me? :) They do have this in a range of colours. I saw a lady walk past wearing this while getting my nails done, it was very tempting to me. You can’t see on the website but there are gold zips on the sides. It seems like they may have sold out of the green one now. I love a good ombre. 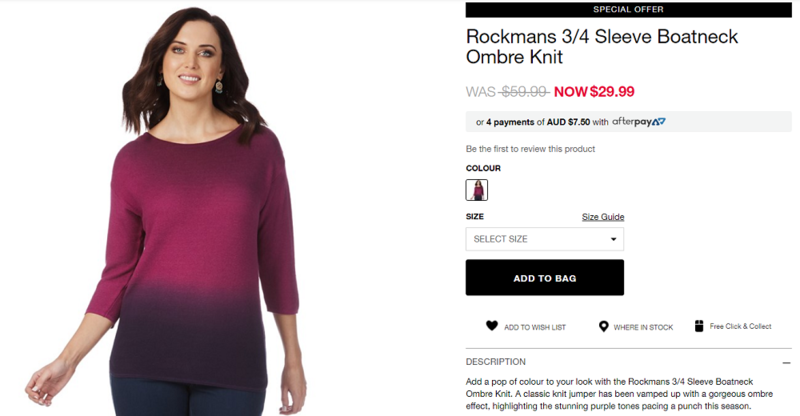 This ombre top from Rockmans was somewhat tempting. At the local cheap shop I was shocked to find this piece of merchandise. 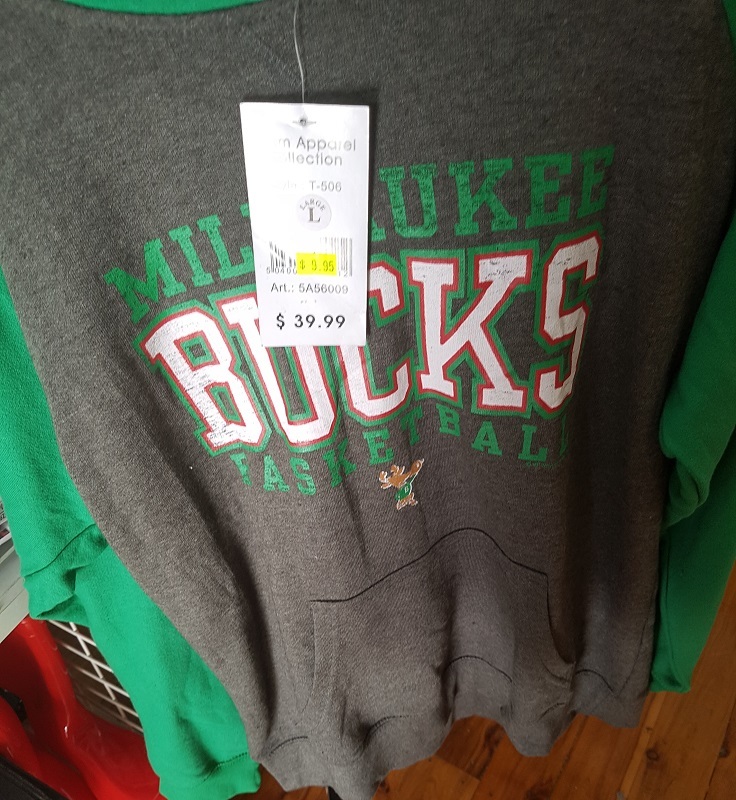 I had never heard of the Milwaukee Bucks however I grabbed a shot and sent it to Sephyroth. 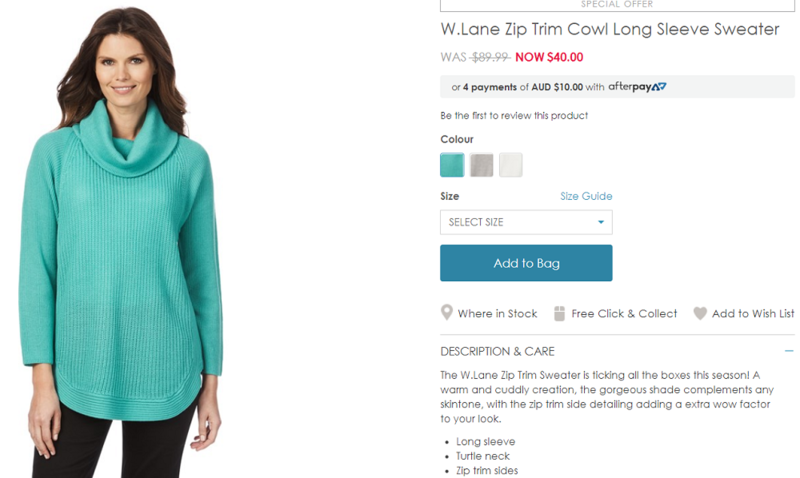 I like their colours, I love a hoodie with pockets in that exact spot especially at this time of year and $9.95 was quite tempting. I did not buy it because #yobn but let me make it very clear, I would have. This is exactly the kind of impulse purchase my challenge is saving me from. 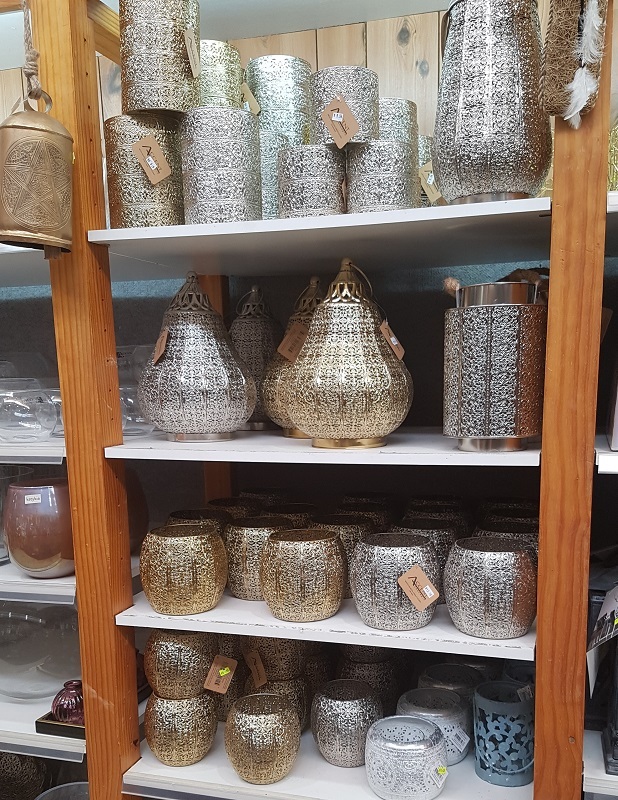 In the same cheap shop, this lovely display of candle holders was tempting to me. Prices started around $9.99. But I chose not to buy. 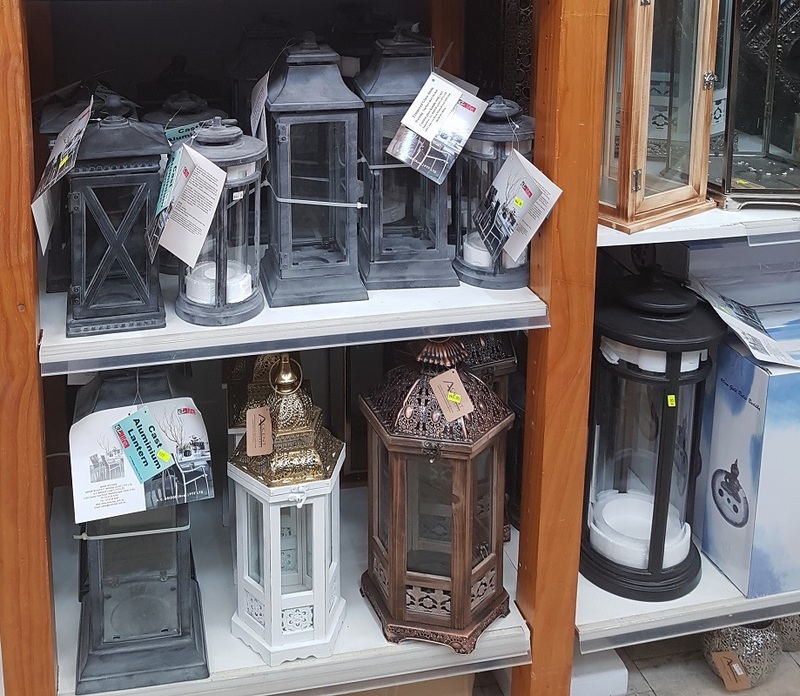 These candle lanterns were more pricy starting around $44.95 and very beautiful. Exactly the kind of thing that would have tempted me last year. But not this year. ← Can you do me a favour, WordPress bloggers? 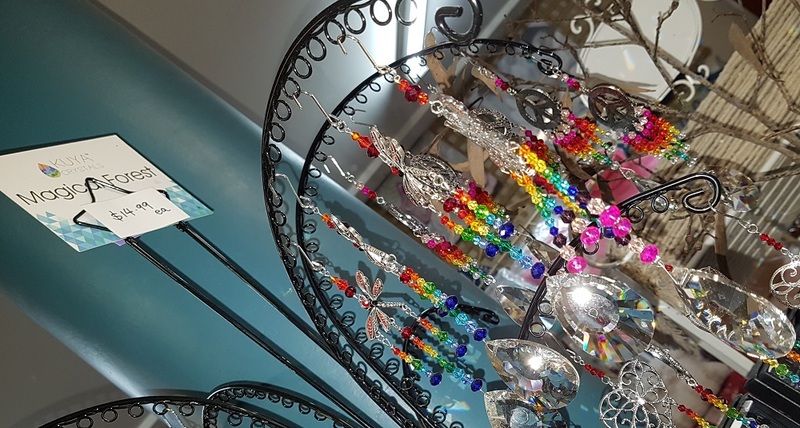 I love those crystals and probably would have bought a few to hang in my front window so I could see rainbows on the walls here. 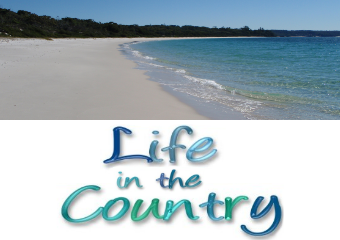 Great tip about taking a photo of something before buying it to get a better idea of how the colours look in real life! I’m impressed with your will power!!! 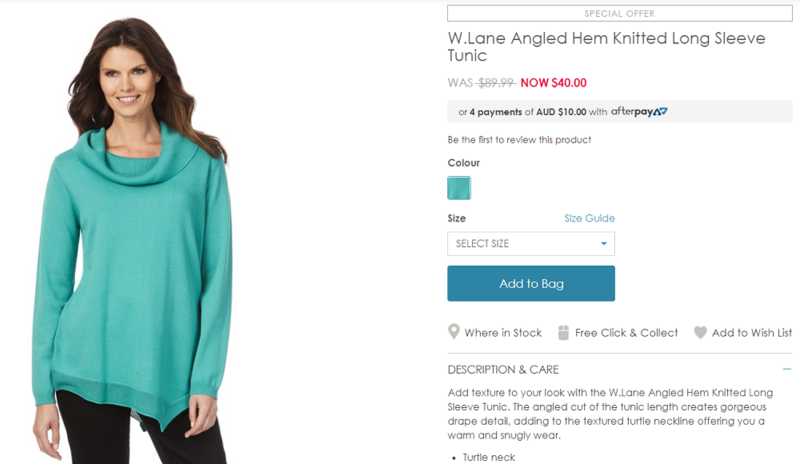 The $9.95 hoodie would have been worth busting your resolution for I reckon.